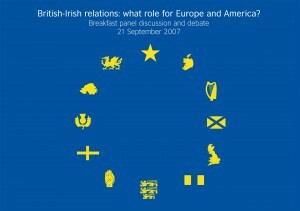 The British Council produced a series of books about the history of the often fraught relationship between the UK and Ireland. The third book in the series was launched in Brussels, and therefore the organisers wanted to put the topic into an EU context. Aptalops did the invitation / postcard for the British Council and the Office of the Northern Ireland Executive in Brussels. 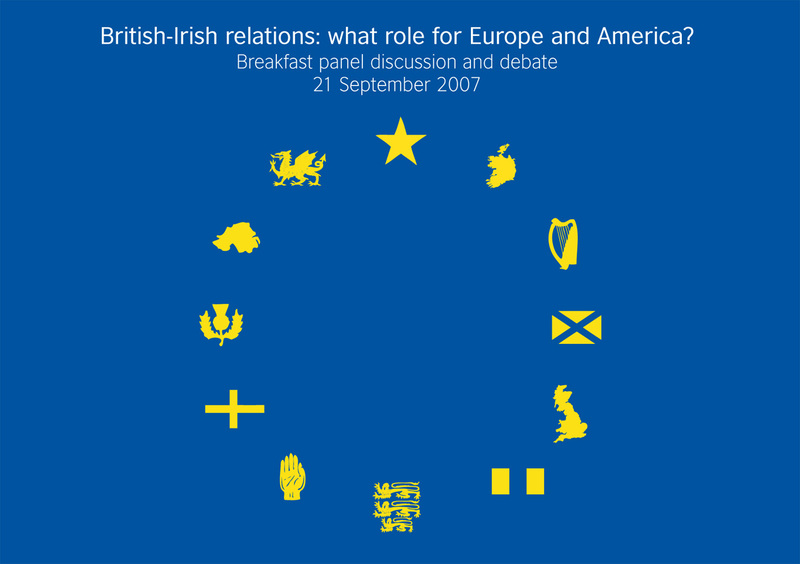 An EU flag made up of Irish, British and EU elements. Then just before printing, the notion of a US perspective needed to be referred to in the title, but the original design was retained.